They say that it takes a village to raise a child, and our village has never been more necessary than it is today! We live in a fast-paced, instant information and pressure-packed world. Today’s children are faced with a myriad of both challenges and opportunities. Camp Interlaken has the most incredible village that works together to help our campers be the best versions of themselves for both the time that they’re at Camp and the rest of their year that they’re not at Camp. Shoresh means root, and while our Shoresh campers represent the roots of camp, they also are the future of our Jewish Community. 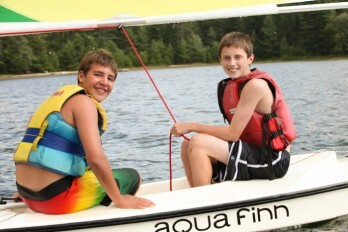 Our Shoresh unit is geared toward the younger camper, many who are first time campers. Our nurturing staff works hard to make sure that our young campers feel comfortable, have a great time, and really become a part of Camp Interlaken’s Kehillah (community). 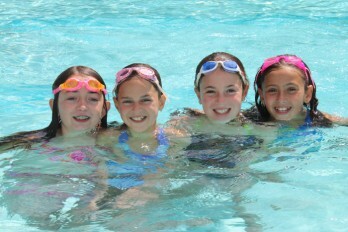 Rise & Shine programs are designed for younger campers who wake up early and want to try new activities in camp. In Shoresh, whether a camper joins us for 2 weeks or 4 weeks, we try to expose all of the campers to new activities and all the exciting programs that we offer. 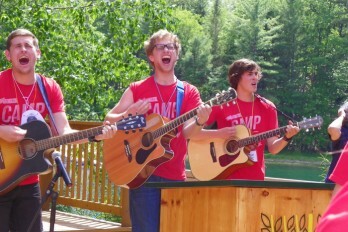 Tzomayach means growth/vegetative, and for us it represents the stem of camp. Tzomayach is our largest unit in camp, and during this time, we see the most growth and development in our campers from when they enter the unit until they leave enter Sha’ar. 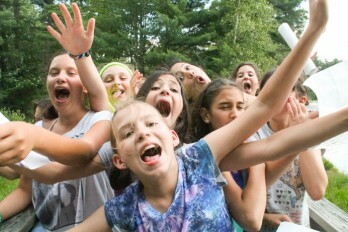 By the time they reach 6th grade, we work to integrate the campers even more into Camp Interlaken’s Kehillah, and we focus on B’tselem Elohim, that every person is created in G-d’s image. From this fundamental moral claim, we teach the campers about kavod haberiot, respect of all persons. We recognize that the 6th & 7th graders have entered a challenging time of their lives, and our amazing counselors, social worker, and educators work closely with them to help navigate all of the changes they’re experiencing in their lives! Sha’ar means gate, and we look at this unit as a gateway from lower camp to upper camp and K’far Noar, our teen village. 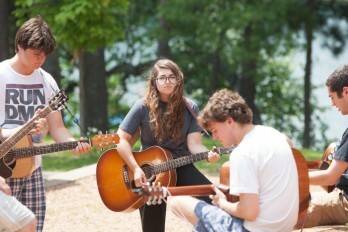 The program is built to reflect the changing needs of an emerging adolescent. With greater input into how they spend their time at camp during their cabin time activity, these campers have the opportunity to make their camp experience truly exciting. Sha’ar provides campers their first opportunity to plan a program for the entire camp as they plan the annual Sha’arnival Carnival. This unit focuses on Tikun Olam as together they learn ways to repair the world. By the time our campers have finished their two summers in Sha’ar Village, they are ready to take on the added responsibilities of being a part of our K’far Noar (teen village). K’far Noar, the Teen Village , is about adventure, teamwork, and growth. Campers participate in a 3 day/2 night Namekagon River Canoe Trip outfitted through Wilderness Inquiry. Campers work together to create many of their evening programs as well as get a taste of what it’s like to be a staff member at Camp Interlaken when K’far Takes Over (KTO) for a full day. Campers also plan the all camp Final Banquet where they choose the theme, decorate, and design the menu. K’far Noar has their own Bayit, house, where they make their own breakfast each morning. Their Judaic focus is on the love of Israel, Eretz Yisrael, as we prepare our 10th grade campers to attend the Camp Interlaken Israel trip during their 11th grade summer.